What a game it will be to round of another weekend of Premier League action. Leaders Manchester City travel to play against Liverpool at Anfield, with a lot on the line. 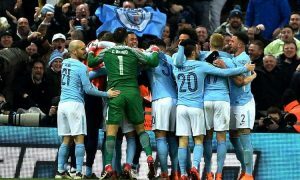 Liverpool will not want to concede any ground at the weekend with the league so tight, while City will be well aware of how damaging one defeat can be, with a snowball effect sometimes ensuing. 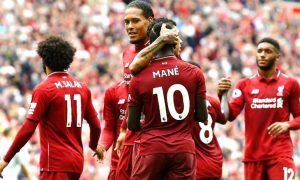 With regard to the allegiances of the other top sides, they will be hoping that Liverpool can inflict a first defeat of the campaign on their visitors, thus allowing the likes of Manchester United and Chelsea the chance to make up some ground on the leaders. Regardless of what any other side in the league wants though, this game has all the makings of a classic. Jurgen Klopp will be looking for revenge after City humiliated Liverpool 5-0 in the reverse of this fixture. Sadio Mane was shown a straight red card for a high-foot on Ederson, and the afternoon went south from there, with City hammering their visitors. This win was just another scalp that contributed to City’s record run, with Liverpool barely putting up a fight. Now though, things are different. Liverpool are unbeaten in their last 17 games in all competitions, and they are looking to put some form of pressure on the league leaders. In the Premier League, they have picked up 44 points from 22 games, coming from 12 wins and eight draws. Impressively, they have only lost twice this season, the second-best in the league, while they have scored 50 goals this season. Against City, their Achilles heel will likely prove to be their defence, as they have already conceded 25 times this season. Against Pep Guardiola’s team, Liverpool should look to play as they always do. 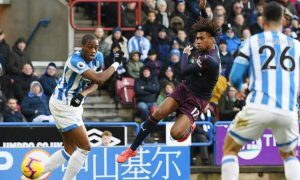 Their attack is so incisive that it can cut a team to ribbons at will, and Manchester City, despite only conceding 13 goals this season, have looked beatable at the back at times. 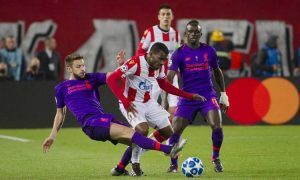 The likes of Mohamed Salah and Sadio Mane could have a field day playing on the counter with their pace and dead-eye finishing crucial to Liverpool’s hopes. Of course, Klopp may look to match City’s style, with Liverpool very good on the ball. The loss of Philippe Coutinho has hurt their ability to keep the ball, but they will feel that the more possession they can keep from City, the more frustrated and gung-ho they will likely become, leaving gaps at the back that they can exploit. Liverpool will know that this is the toughest test they have left to face this season, and it is perhaps the last time this campaign they will be able to affect the title race. Klopp will want to avenge their humiliation earlier in the season, while the players will feel that they have all the ability to become the first English side to beat City this season. For Manchester City, this is a huge test of what they are made of. Their ability has been on show throughout the current campaign, with Pep Guardiola leading an incredible side. What has been particularly impressive is how he has taken players like Raheem Sterling and John Stones, who struggled earlier in his reign, and turned them into fine talents. However, they will be put under huge strain by a Liverpool side that like nothing more than bursting bubbles. In the league, City have won 20 of their 22 games, while they have drawn twice and they are yet to lose. 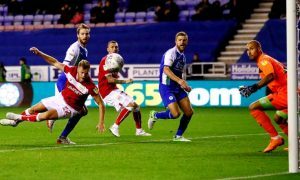 They have netted a league-high 64 goals, while they have conceded a league-low 13, showing that they have been very good across the pitch. They were held to a surprise draw by Crystal Palace recently but, other than that, they have been incredible. 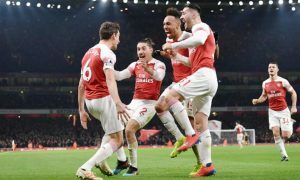 Against Liverpool, they will have to contend with a blistering attack that has torn teams apart this season, with their wing-backs very important. Mane and Salah will likely be given the job of attacking on the flanks, with Guardiola’s wide-defenders often pushing forward. They will need to be incredibly vigilant, or they will get caught out. All eyes will likely be on the ever-improving Kyle Walke. The former-Tottenham man has become a far better defender under Guardiola, but he still has a tendency to get caught too far forward and Klopp will look to target this. Further forward, City will know that they can make Liverpool’s defence crack. Despite the Red’s superb attacking ability, they have conceded 25 times, the most of any top six team bar Arsenal. Klopp is yet to bolster his backline with world class players, and City have already beaten the likes of Chelsea, Manchester United and Tottenham, all teams with very strong defences. 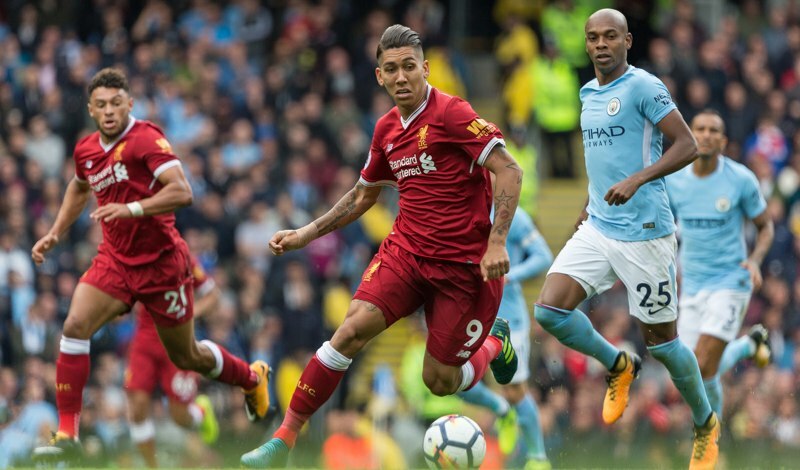 Liverpool will look to keep the ball, thus relieving any pressure on their defenders like they did in their 4-0 win over Arsenal earlier in the season, meaning City must not deviate from their normal gameplan of keeping as much of the ball as possible and exerting pinpoint and incisive pressure on their opposition. Expect Kevin De Bruyne to once again star, with the Belgian growing into one of the best midfielders in the world. Raheem Sterling may receive some rough treatment as he was formerly a Red, but he and Leroy Sane on the other wing will look to use their pace and trickery to create havoc for Liverpool’s defence. Neither of the home side’s centre-halves will want to be isolated with the two magicians out wide. 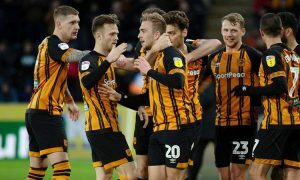 In their last five games in all competitions, it is a perfect split, with Liverpool winning twice, Manchester City winning twice, and one game ending in a draw. In City’s last five league trips to Anfield, they have not won, losing four games and drawing once. The two sides have scored over 100 league goals between them (Manchester City 64 goals, Liverpool 50 goals). This contest has all the makings of a classic. Liverpool need to win to maintain their place in the top four, while a victory could also see some pressure applied to their opponents. Guardiola will know that another loss could well set City on a downward spiral, with their draw against Crystal Palace still fresh in the memory. The superb offensive-lines of the two teams will like go head-to-head on Sunday, and it may become a case of who can be more clinical, with two of the Premier League’s most incisive attacks on the same pitch.